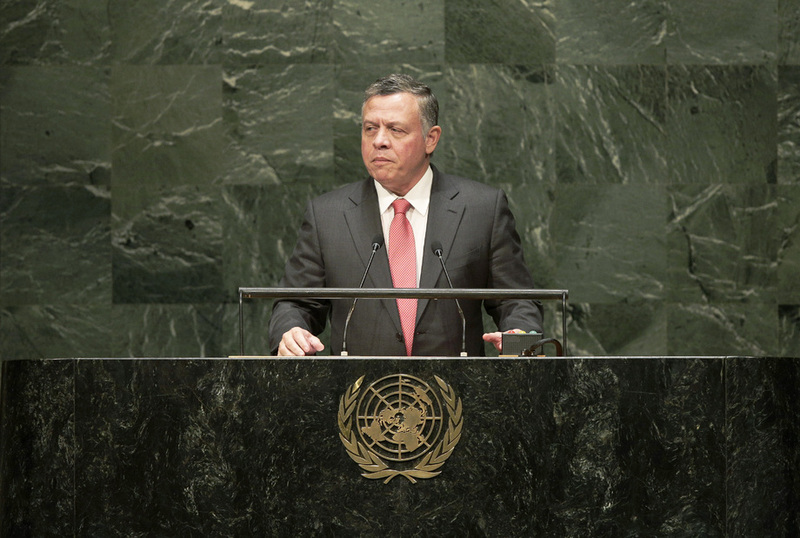 ABDULLAH II IBN AL HUSSEIN, King of Jordan, stressed that the world’s challenges had grown significantly since the last general debate. The security of every nation would be shaped by the fate of his country’s region, the Middle East. The global community must act together to tackle the issues facing that part of the world and provide opportunities for dialogue and reconciliation. He also emphasized the importance of respect among different religions, reiterating that the teachings of Islam prohibited violence against Christians and other religious groups. Jordan was at the forefront of interfaith dialogue and had spearheaded a number of such initiatives. Because of the abhorrent crimes against religious groups recently seen in Syria and Iraq, Jordan would propose a draft resolution that would make such acts a crime against humanity. Pointing once again to the situation in Syria and Iraq, he said that the international community should work towards a “consensus-driven political solution” that addressed the myriad issues that had arisen as a result of the crisis, including displacement. Refugee flows had taken a heavy toll on his country, which had sheltered nearly 1.4 million Syrians. The burden on Jordanians, infrastructure and already-limited resources had become overwhelming. Shifting to the topic of Palestinian rights and statehood, he said that the future of the region could not be addressed without addressing that pivotal issue. He expressed concern at the “dangerous halt in the progress towards peace”, and called for a mobilization in international efforts to rebuild Gaza and marshal a united, global response to achieve “once-and-for-all a lasting settlement”. That, he asserted, would create the foundation necessary to re-launch final status negotiations on the basis of the Arab Peace Initiative. He underscored that the path to a comprehensive peace settlement must involve a two-State solution as that would offer security and normal relations for Israel with its neighbours as well as a viable, sovereign State for the Palestinians along the 1967 lines.